Aloe is one of the most popular herbs in the world today. Not only is it a common houseplant, but the aloe products industry is worth about $13 billion worldwide. Aloe has been popular for a long time—it’s mentioned in Mesopotamian clay tablets from 2200 BC, and it was considered “the plant of immortality” in ancient Egypt. But even with all the herbs that have since been discovered around the world, nothing compares to aloe. Christopher Columbus thought so. 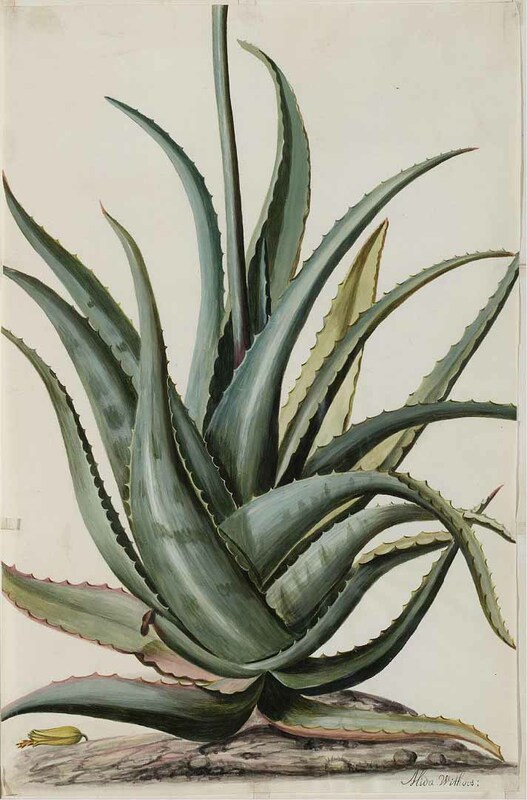 He took substantial quantities of aloe on his voyages to the New World. 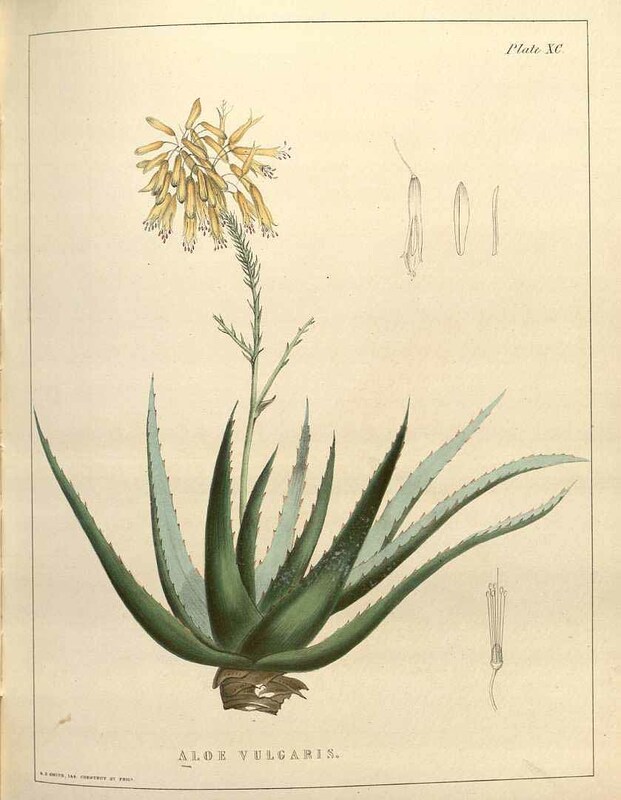 In fact, aloe was one of his four favorite plants. Aloe is a common ingredient in many skin products for moisturizing, smoothing, and softening skin. Aloe was a big deal in the ancient world too. It was a religious symbol in Egypt. If you wanted to attend a pharaoh’s funeral, the admission fee was aloe plants. According to another legend, Aristotle convinced Alexander the Great to conquer an island off the Horn of Africa in order to claim its renowned aloe plantation. Aloe is an unusual plant. It has fat, triangular leaves lined with tiny teeth. Since aloe is native to desert climates, it is often mistaken for a cactus, but it is actually a member of the lily family, with relations to onions and garlic. The name aloe comes from the Arabic word “alloeh” meaning “shining bitter substance.” The are over 400 different aloe species worldwide, but the one predominantly cultivated for medicine is aloe vera. (The vera part means “true”). Aloe barbadensis is another name for the same species. Aloe is generally safe to use on all skin types, and it has a long history of use. What makes aloe so special is its cool, moisturizing character. When cut, the leaves release a translucent jelly that can be used to treat all sorts of conditions. Aloe is a common ingredient in many skin products for moisturizing, smoothing, and softening skin. It is traditionally used for first aid skin issues, such as burns, rashes, and itchy insect bites, as well chronic inflammatory skin problems, such as eczema, psoriasis, acne, rashes, and herpes. Studies have shown aloe to possess anti-inflammatory, antiviral, anti-bacterial, and antifungal properties. A more recent application for aloe is radiation burns. This use emerged in the 1930s, when scientists began dabbling in X-rays and nuclear materials. The U.S. military developed aloe salves in the 1950s to treat radiation burns, and aloe ointments were approved by the Food and Drug Administration (FDA) in 1959. 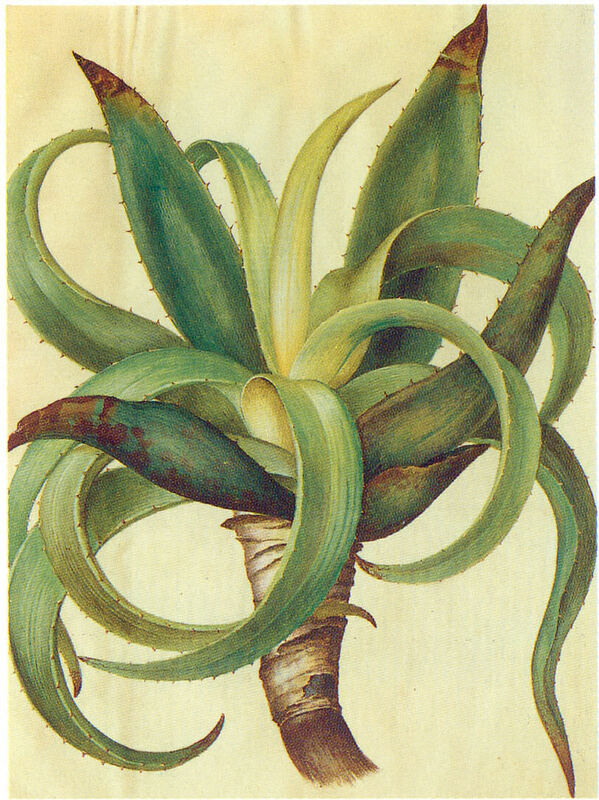 The oldest known use for aloe is as a laxative. According to ancient Roman physician Dioscorides, aloe “loosens the belly, cleansing the stomach.” However, such use comes with some serious concerns. The phytochemicals responsible for aloe’s laxative ability are called anthraquinones. One anthraquinone in aloe, called aloin, is recognized by the FDA as an effective laxative. However, regulators removed over-the-counter laxatives containing aloin in 2002 due to safety concerns. 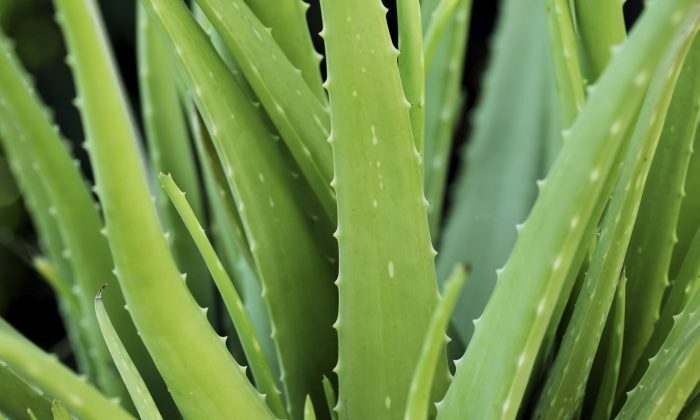 A recent two year study conducted by the National Toxicology Program (NTP) found that rats given unfiltered aloe extract developed cancerous tumors in their intestines. An important distinction is that the extract used in the NTP study contained high quantities of aloin—the component that researchers named as the likely cancer causing culprit. According to the International Aloe Science Council (IASC)—a non-profit industry group that certifies aloe products for safety and quality—products containing aloin are rare in the market today. Most aloe products are filtered or “decolorized” which makes them safe for internal use. The process removes the latex of the plant where the aloin is found. Aloe latex is a bitter yellow layer of the leaf found between the green outer rind and the clear inner gel. If the label on an aloe product isn’t clear whether it contains aloin, the effect will hit home right away. Aloin has an undeniable laxative effect that can result in cramping and diarrhea. Even with the aloin removed, aloe can still promote bowel movements, but it has a much gentler effect. Aloe gel is typically used for topical application. Aloe juice (sometimes called aloe water) is what people generally use for internal issues (although it’s also available in pills). The juice is easier to drink then the gel, but it is still a bit nauseating. A typical dose of juice is one to four ounces per day. Studies have shown that aloe can effectively treat oral infections, from gum diseases to cold sores. Aloe gel has a special affinity for healing mucous membranes, all the way down the gastrointestinal tract. A 2004 study found that aloe was effective for inflammatory bowel disease. Subjects given aloe juice twice a day for four weeks saw significant improvement. According to The National Center for Complementary and Alternative Medicine, aloe juice can be used to treat asthma, epilepsy, and osteoarthritis. Research suggests that aloe also has cancer fighting and immune boosting properties. In Mexico, aloe is a common folk remedy for treating diabetes. Preliminary research from India validates this treatment with evidence that it can lower blood glucose levels. Applied topically, aloe can also address the hard-to-heal leg wounds and ulcers that can occur with diabetics. Aloe is very hydrating and rich in polysaccharides which have been shown to increase nutrient absorption. It contains beta-carotene, antioxidant vitamins C and E, as well as B12, folic acid, and choline. Aloe makes a great house plant that can live for many years. It is hardy and drought resistant, but because it has such a high water content, it is very sensitive to frost. The desert plant likes to be in the sun, but don’t set your aloe outside too early in the season. One cold spring evening can seriously injure your aloe. To use your plant, snap off a fresh leaf, remove the green rind, and apply the gel to the affected area. Leftovers can be stored in the refrigerator for later use, but the potency of a cut leaf fades with time. Commercial preparations are by far more convenient. Modern cold-press production methods can create a shelf stable product that preserves aloe’s medicinal qualities with less mess.